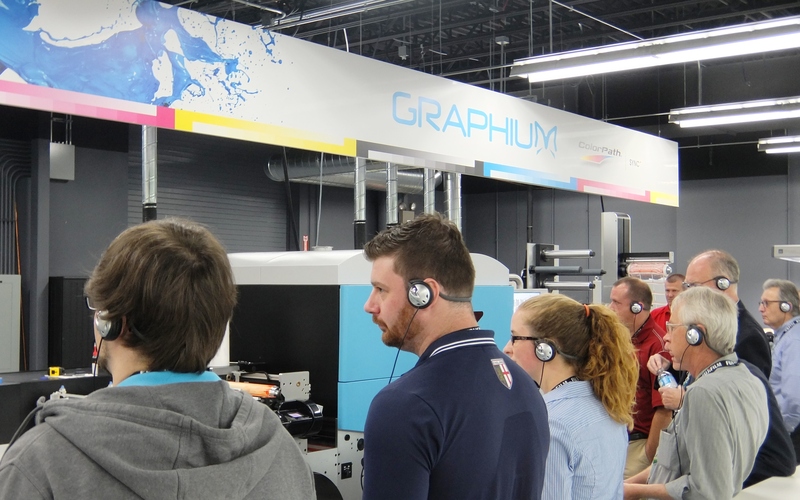 FUJIFILM North America Corporation, Graphic Systems Division recently hosted a Prime Label Technology Summit at its Chicago Technology Center, showcasing innovative packaging technology trends to invited attendees. The event, part of an ongoing series, is intended to be a ‘collaborative information exchange,’ allowing senior-level label & packaging professionals to share their challenges and insights, interact with industry experts, and learn more about Fujifilm’s entire graphic systems portfolio, all within Fujifilm’s state of the a rt Technology Center in Hanover Park, Illinois. After a Corporate Overview and Packaging Market snapshot from Fujifilm’s North American Graphic Systems leadership, the attendees gained impactful insights from Chris Lynn of Hillman Technology Partners, who discussed the growing opportunities to add value in the label segment with digital inkjet technology. Attendees were then able to get up close to the Graphium, a high-speed modular digital UV inkjet press with the option to integrate flexo and finishing stations for hybrid production and conversion in a single pass – greatly expanding the opportunities that can be converted. Graphium represents the next generation of UV inkjet press for labels, packaging and specialty print that enables profitable printing of short run jobs while boosting productivity and providing the ability to produce new print options previously unavailable through traditional flexo technologies. Graphium makes converting short to medium print jobs more profitable, as the press streamlines workflow, requires less setup material, reduces waste and eliminates overruns. 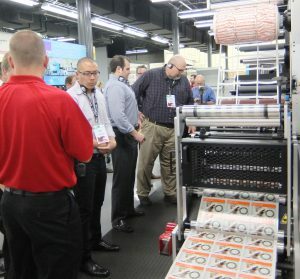 “The hands-on demonstrations of Fujifilm’s impressive line-up of solutions allow attendees to understand how these innovations can be incorporated into their operations to better serve their customers,” said Mike Barry, product marketing manager, FUJIFILM North America Corporation, Graphic Systems Division. 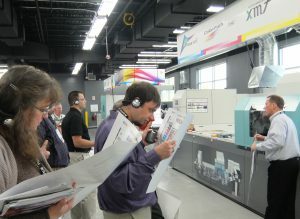 Attendees also had the opportunity to learn more about Fujifilm’s innovations in flexographic inks, plates and platemaking. The FLENEX FW water-washable plate system was eye-opening for the attendees due to its ability to form flat-top dots, and reproduce 200lpi with halftone dots from 1% to 99%. Compared to solvent processing, drying time is greatly reduced, productivity is increased, and there is a reduced impact on the environment. The innovative water wash system eliminates the need for solvents, wicking cloths, and thermal equipment. While learning more about packaging technology, attendees also experienced a panel discussion of current Graphium and Flenex users providing an open forum to listen, question and learn from their peers who’ve experienced success within their businesses by implementing Fujifilm solutions.